Whether your school families have toddlers, teenagers, or anywhere in between, this course gives you and your key staff members the tools to facilitate a predesigned five-week Montessori family life class, The Parenting Puzzle, live at your school, taking advantage of the years of experience and hard work that it took to develop it, while leading families at your school through meaningful and transformative discussions. For years, parents have gladly paid for live parenting education courses but, until now, none has specifically focused on Montessori parenting. A typical five-session/five-week parenting course costs $150 to $300 for a parenting couple. Schools that offer these courses will do so three or four times a year, with five to ten couples participating. Do the math If your school offers a parenting class 3 times a year and just 5 couples sign up for each session, paying only $150 per couple, you will earn $2,250, while creating deep engagement with 30 moms and dads. So, would you like to be able to present the Parenting Puzzle at your school? Our school licensing fee is just $950 a year. It allows you to offer the Parenting Puzzle in person to as many parents, prospective families, or even teachers and staff members as you wish. There is no limit to how many times you run the course. There are no additional fees due for each family that enrolls. You set the dates and price that you feel are reasonable. If you wish, your live participants can have access to the online version of the course. If you have families who want to take the Parenting Puzzle online only, we can set up a partnership program, where your school earns a percentage of their registration fee. 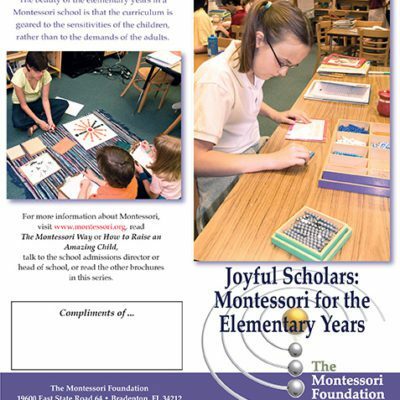 And, if you wish, your parents can receive a certificate of completion from the Montessori Family Alliance. As educators, we know that, from infancy to adolescence, children can be a challenge and parenting is a puzzle. 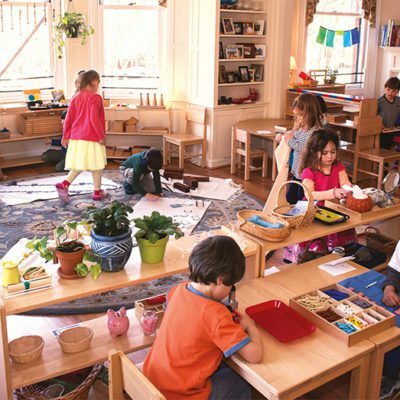 Do you wish that you could have a Montessori parenting educator at your school? Now you can. So, whether your school families have toddlers, teenagers, or anywhere in between, The Parenting Puzzle – The Basics gives you and your key staff members the tools to facilitate a pre-designed five-week Montessori family leadership class. This course, live at your school, leads families at your school through meaningful and transformative discussions, activities and readings. Much like Montessori guides take a Classroom Leadership course in their training, this course is designed to give parents Family Leadership skills and practices that will guide them throughout their children’s growing up years. These skills and practices can be used in a variety of family situations and applied at all the developmental stages of childhood. What this course provides are strategies for creating home environments that encourage respectful communication, for identifying and meeting children’s emotional needs, and for strengthening parenting partnerships. For example: In this course parents will learn how to meet their child’s need for some control over their lives, how to refocus their child when they are feeling powerless, and how to support parenting partners when power struggles arise. These strategies can be applied when power struggles surface with toddlers during toilet training, with elementary age children when family chores need to be done, or with teenagers when curfew limits are being tested. And…while the facilitator is talking about power struggles at home they can refer to how Montessori guides handle similar situations in the classrooms, bringing the school and home into close alignment. 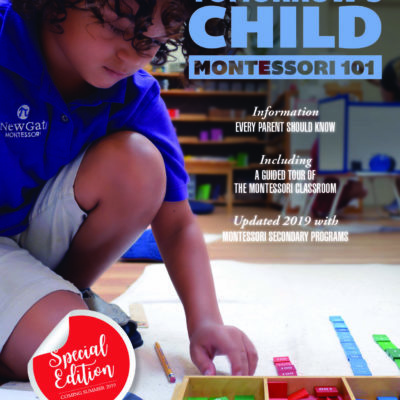 The course includes all the videos used to present the principles of Montessori parenting, including discussion prompts, supplementary readings, and activities for parents between sessions. All you need is a computer, internet access, external speakers, and a video projector or large-screen TV. Session II – Why Do They Do What They Do? Session III – What to Do When You Want to Trade Them In! Session IV – If We Can’t Punish or Reward, Then What? Here’s how you can offer this course to your school community! Purchase a school license for just $950 a year. It allows you to offer the Parenting Puzzle – The Basics in person to as many parents, prospective families, or even teachers and staff members as you wish. There is no limit to how many times you run the course during the licensing period. If you wish, your live participants can have access to the online version of the course through the Montessori Family Alliance. If you have families who want to take the Parenting Puzzle – The Basics online only, we can set up a partnership program, where your school earns a percentage of their registration fee. To offer the course live, your school can set whatever registration fee or suggested donation that is fair according to your sense of your parent community. 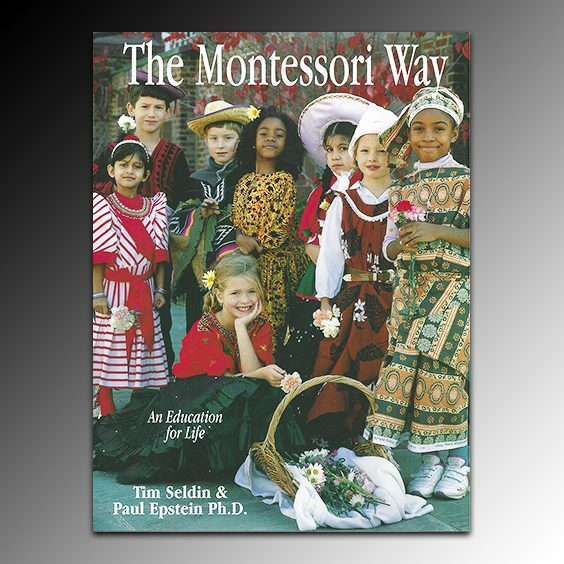 Schools could offer the course free, but participants pay the cost of the course resource books: Redirecting Children’s Behavior and the accompanying workbook by Kathryn Kvols and How to Raise an Amazing Child The Montessori Way by Tim Seldin. Schools could offer the course for a fee that includes the cost of the course resource books. Schools could offer the course for a fee and separately offer a barter plan for families who need help with covering the fee. Here’s an Example: A typical five-session/five-week parenting course costs $150 to $300 for a parenting couple. Schools that offer these courses will do so three or four times a year, with five to ten couples participating. Do the math: If your school offers a parenting class 3 times a year and just 5 couples sign up for each session, paying only $150 per couple, you will earn $2,250, while creating deep engagement in your school community with 30 moms and dads. Schools should consider all of their costs when setting a fee for the course. That’s it. Now you are ready to purchase a school license!